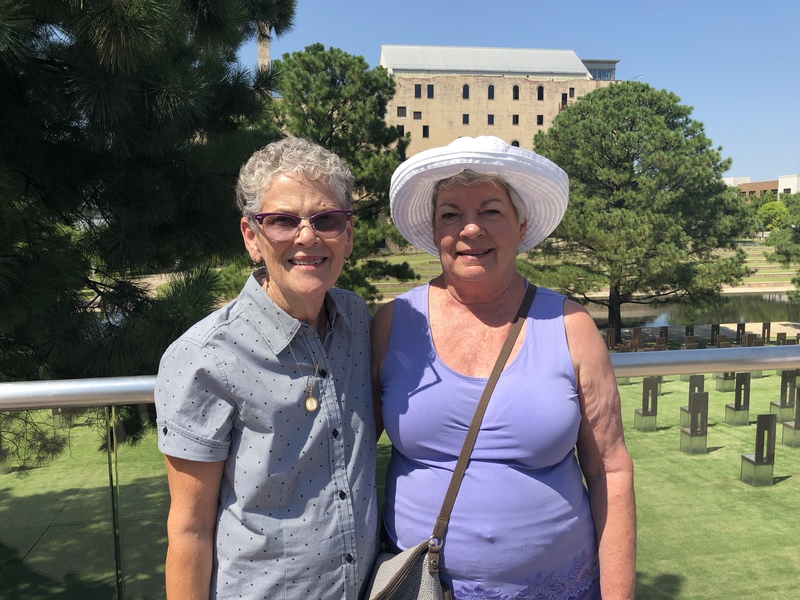 Diana Sage, KA6TZU and Vicki Zumwalt, N6KLS attended the Young Ladies Radio League (YLRL) 2018 Convention in Oklahoma City, OK from August 2nd through the 5th, 2018. Speculation is the convention only happens once every 3-4 years since what happens in OK City stays in OK City! The convention was held at the Sheraton Oklahoma City Downtown (OKC) located at 1 North Broadway Avenue, Oklahoma City, OK, 73102, in the One Broadway Ballroom. The convention started on Thursday evening with a meet and greet in the Aria Lounge. Current President Marilyn Melhorn, AF7BI did the meet and greet. Ria N2RJ talked about digital modes while Andrea Slack, K2EZ got everybody Rovering. The Banquet was held on Friday evening with Nancy Hall, KC4IYD the Keynote Speaker! Saturday morning was an early start for the Board Members and District Representatives. Their meeting started at 7:30 am in the upper level of the Ballroom. At 9:00 am the YLRL General Meeting began. This was followed up with Carol Milazzo, KP4MD who prepared everyone to get ready to go on a remote vacation, with her class on DeExpedition, holiday style. After lunch there were roundtables, where YLs helped other YLs in all areas of Amateur Radio. Subjects covered were from setting up your first rig, logging your contacts, Echolink, DMR, FT8, programming your radio, to antenna’s. Elmira’s were there to help! There was a VE test session. 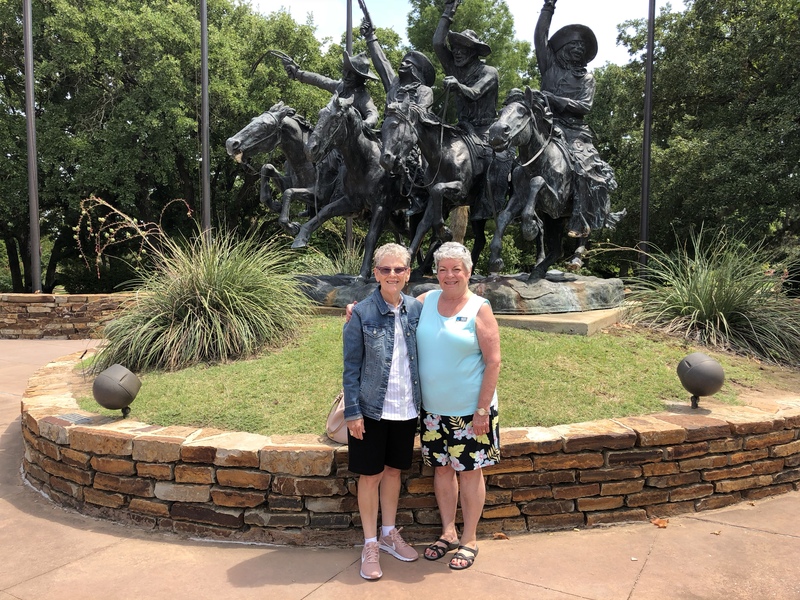 Diana and Vicki at the National cowboy & Western Heritage Museum in Oklahoma City.